Even older houses that were built on a grand scale come up short in the number of bathrooms provided. 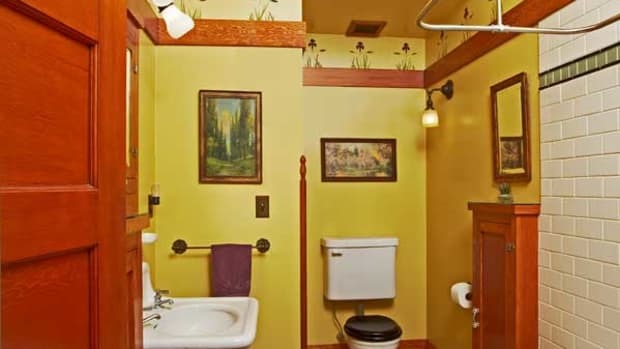 That was the situation in a Tudor-influenced Craftsman home in Mountain Lakes, New Jersey, where four bedrooms were served by a single bathroom on the second floor. When owners Dana Pogorzelski and Tim Willke asked designer Carisa Mahnken to enlarge their master suite, Carisa and architect Joan Nix eliminated one bedroom to reconfigure space for a large master bath and spacious closet. As a bonus, there was room for a second bath, for the children, tucked under the roofline. Found at the Brimfield Antique Show, an antique cello stool rests against a pillowed marble tile wall. 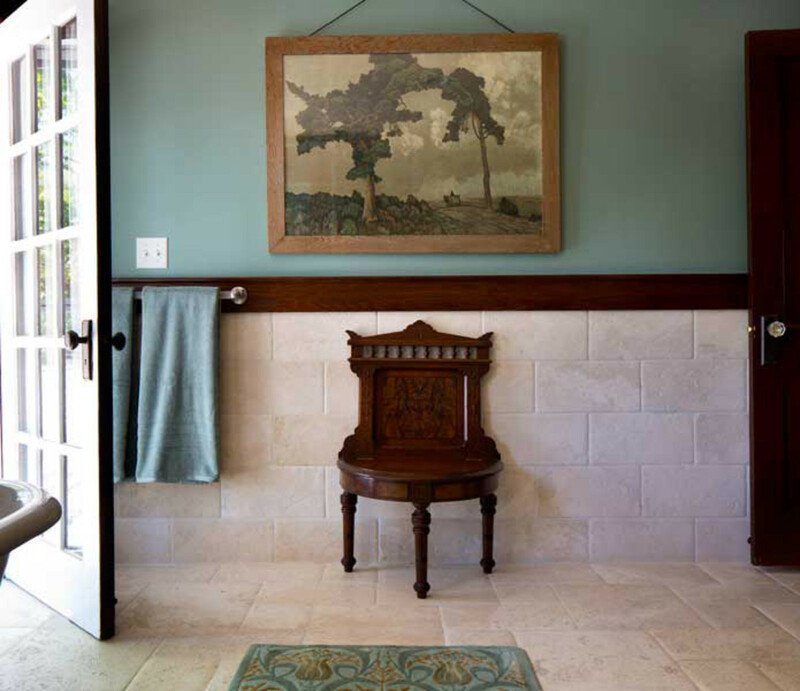 The William Morris-style rug unites colors in the room. The centerpiece of the new master bath is a deep slipper tub. Salvaged from demolished space elsewhere in the house, it now nestles in a corner beneath a high, diamond-pane, double-casement window. 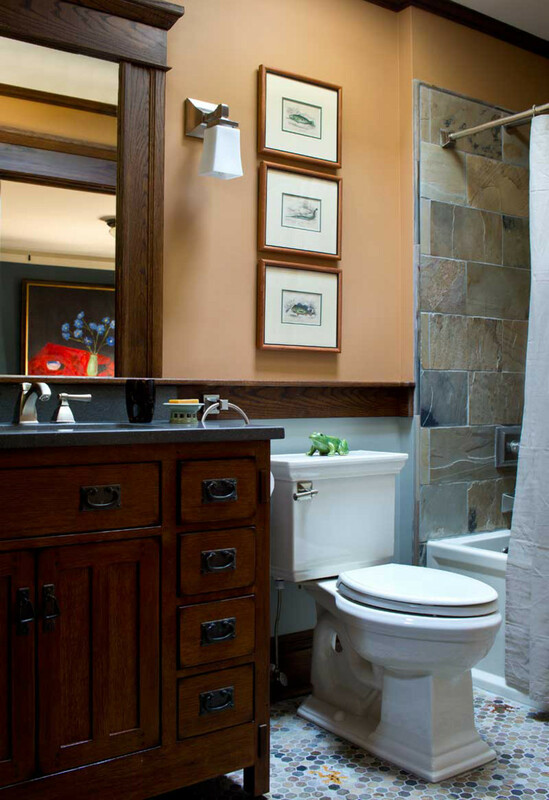 At the foot of the tub is a niche reclaimed from void space in the wall. The oak trim around the niche is stained to match the window casing’s century-old chestnut, and both window and niche tie into a deep chair rail that carries throughout the room. To keep the design restful and calming, walls are clad in large, pillowed marble tiles, set in a staggered brick pattern. 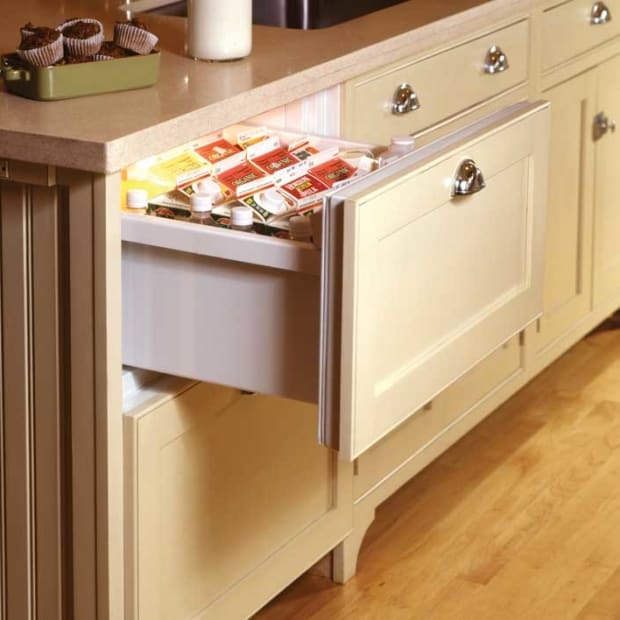 (“Pillowed” means that the tile was made with slightly rounded corners, for a softer appearance.) The designer chose a similar marble for the floor, but its layout is a more variable pattern of rectangles and squares, creating a subtle rhythmic shift separate from the walls. 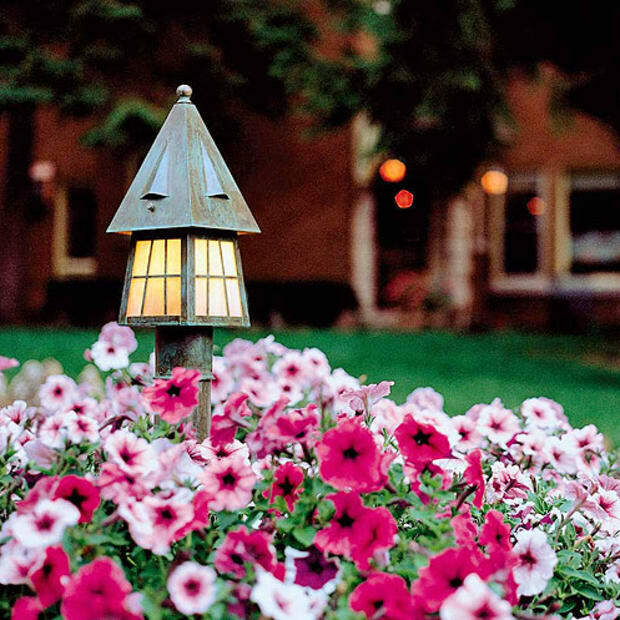 To play off the dark woodwork and keep from creating unpleasant contrast, Mahnken used deep, rich jewel-tone colors throughout the house. The master bath’s soft, greyed-down blue is no exception. “If you are going to keep the historic wood, you have to work with it and not fight it,” she says. The pale tile works because the wall color acts as a bridge. All of the colors of the room come together in the William Morris-influenced runner that was custom-made for the space. A collage of free-form tiles decorates the shower niche. The children’s bath was intentionally a cost-conscious makeover. 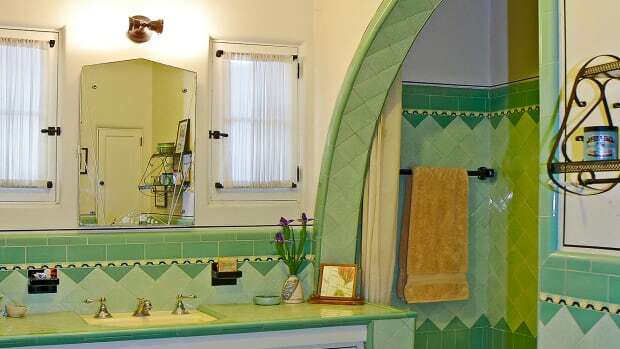 Yet even though the vanity is a stock piece, and the bath fixtures are traditional, the room design allowed for a bit of playfulness in the tile. On the floor, free-form frog tiles randomly leap out of a uniform pattern of slate hexagons. 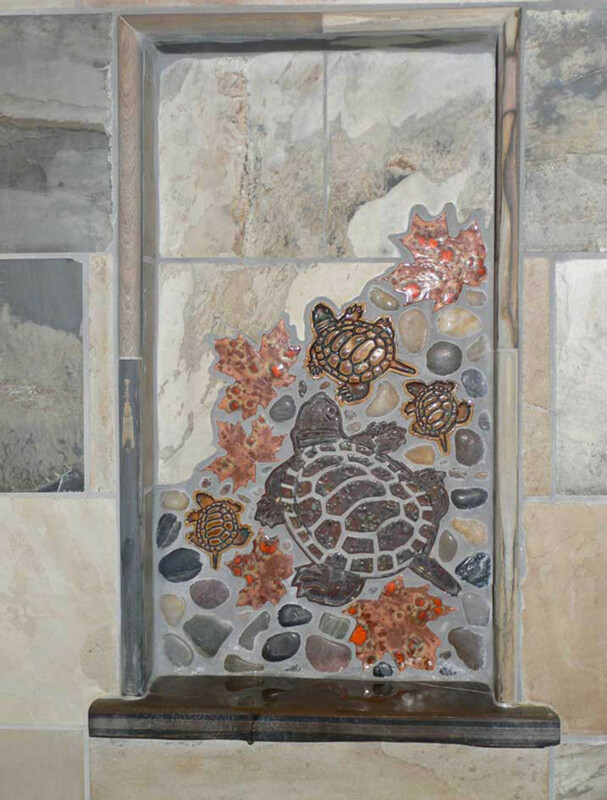 In the tub enclosure, embedded stones and hand-carved turtles enrich a soap niche. Creating the mini mosaic was a spur-of-the-moment job. The tile arrived as individual pieces, and the tilesetter was reluctant to place them without a map. So Carisa Mahnken and her design team laid a design out on the floor, taping tiles loosely together with masking tape. Placed in the niche, the resulting collage has the effect of a wave, loaded with sea treasures, washing up on a bare beach. The children’s bathroom includes whimsical frogs scattered across the multi-colored hexagon-tile slate floor. 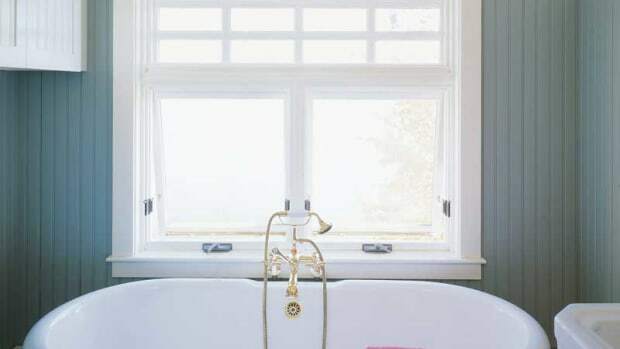 Ever wonder as you move your palm over a favorite Edwardian-era pedestal sink—feeling the glaze gone sandpapery over the decades, noting a new chip—if there’s a fix: a kind of Botox for bathtubs? 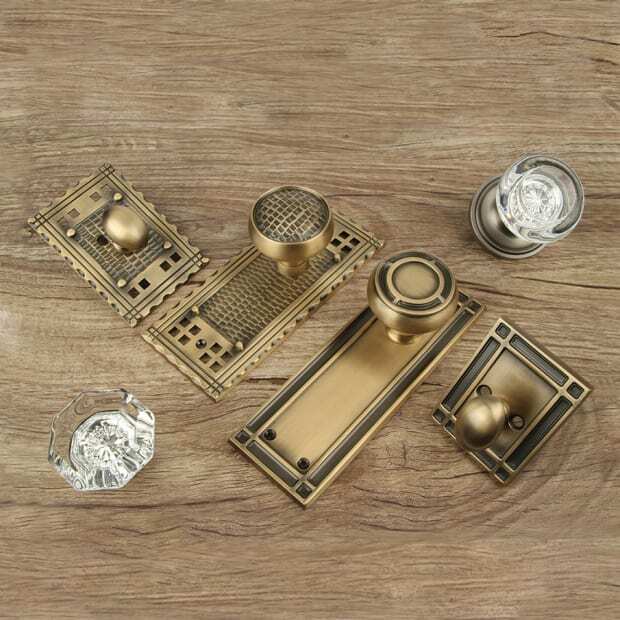 Here’s a quick course on your refinishing options. 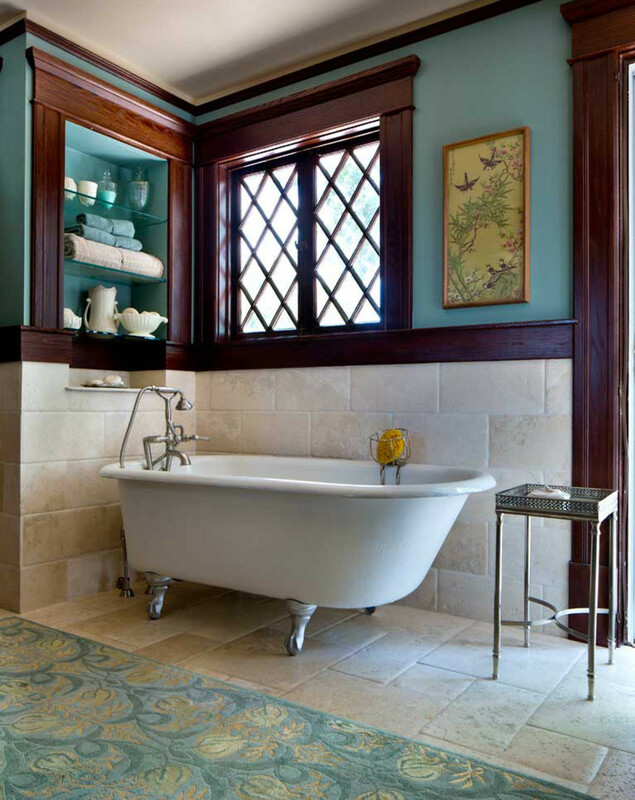 An old-fashioned bath is still the favored style, even in new construction. 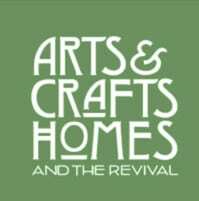 Here are two examples of existing bathrooms from the Arts & Crafts era.